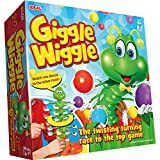 i Click 'view all' to instantly compare this good deal with offers on other top board games. 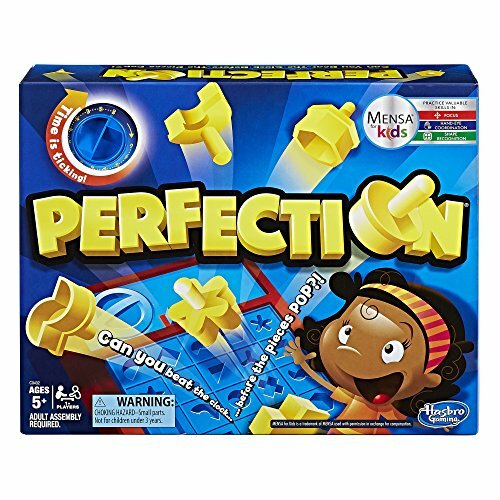 Perfection Game is currently selling at $15.99, approximately $0.01 higher than average. With a lowest price of $15.95 and an average of $15.98 it is selling on the high end of its usual range. Price volatility is 0.45% (meaning it does not change often), so the price should stay low for a while. Right now this product is a recommended 'good deal'. Compare the current price, savings (in dollars & percent) and Buy Ratings for the top Board Games that are closely related to Perfection Game. Here is how Perfection Game compares with other leading Board Games. Ready, set, go! Be the quickest to fit all 25 shapes into their matching holes in the tray. But watch the timer! If it runs out…pop goes the Perfection game! The player who matches all 25 shapes in the shortest time wins. While kids are having a blast playing the Perfection game, they can also practice valuable skills including focus, hand-eye coordination, and shape recognition. Play without the timer so that it's easier for younger players. And, when they're all done playing, easily store the pieces inside the game unit.MENSA for Kids is a trademark of MENSA used with permission in exchange for compensation.Hasbro Gaming and all related terms are trademarks of Hasbro. FeaturesTime is ticking -- beat the clock before the pieces popPlay solo or with friendsStore game pieces inside the game unitIncludes 25 geometric shapes, game unit with timer, pop-up tray, and storage compartment, and instructions.